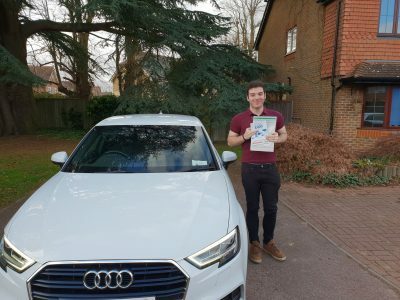 Posted in: Andy Shrimpton Driving Test Passes, Driving Lesson Bracknell, Happy Customers. 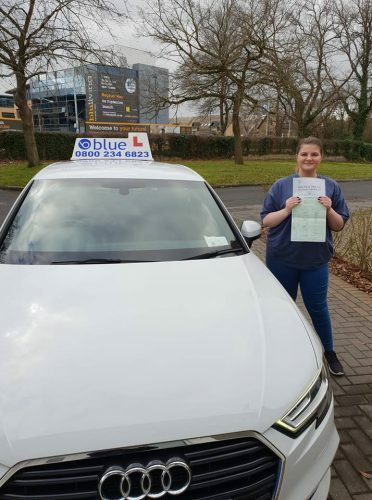 A nice start to the week for Justine Remillard of Bracknell/London. 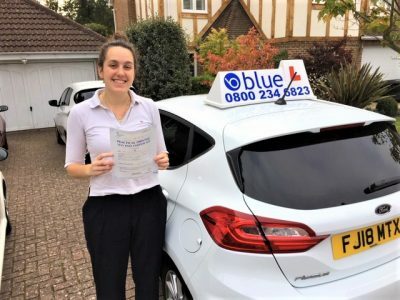 Justine passed her test in Chertsey this morning with just 2 driving faults! The test included a forward bay park and Satnav independent driving. As a general rule if the obstruction is on your side of the road oncoming vehicles have priority. As well as parked cars you may have road works, traffic calming measures, a skip etc., Any time that you continue with obstructions on your side then to do so you must not cause oncoming vehicles to need to change speed or direction. Be prepared to sacrifice priority when you’re not sure if oncoming drivers are going to let you through (where the obstruction is on their side). Try not to leave it too late when deciding on your cause of action so that you do not find yourself coming to a sudden stop or proceeding too fast. Try and give a car doors clearance when passing parked cars – you should be able to do this when there are no oncoming vehicles or if the road is wide enough that oncoming traffic is not affected. If a cyclist looks over their shoulder they may be about to turn right or move out to pass an obstruction. parked up and as the obstruction is your side of the road you may need to stop. Consider a signal and indicate right only if you think anyone will benefit. Your road position and speed will also confirm your intentions. Position – move over to the centre of the road where possible on approach. of the road ahead, this is referred to as a ‘hang back’ or ‘hold back’ position. You don’t want to look like you are parking up (if you are too far to the left!). 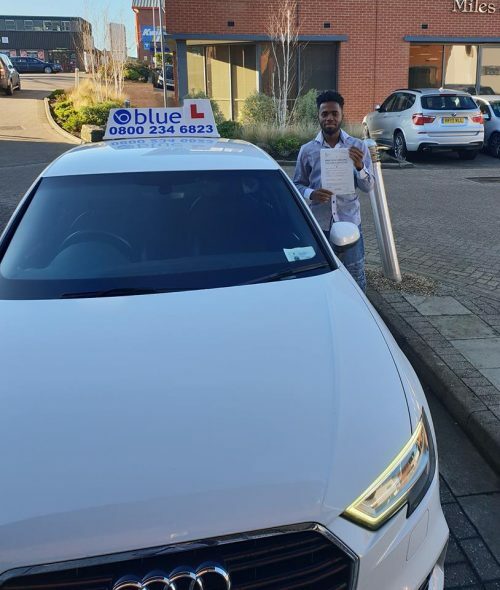 Start learning to drive today, contact us on the details below and one of our team members will be happy to answer any questions you have. 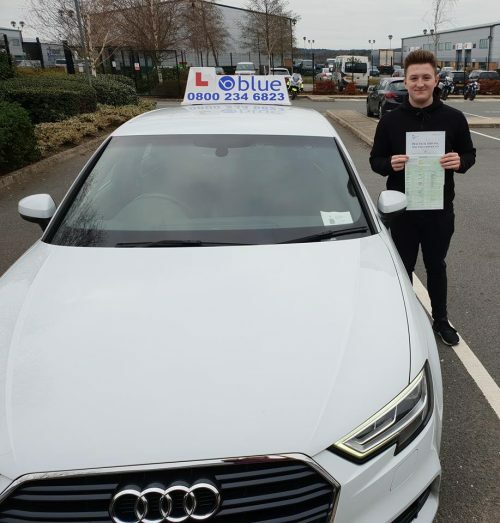 Find a Blue School Of Motoring instructor somewhere near you and become one step closer to learning to drive. There are plenty of franchise positions out there But we offer a very competitive package. Why work for a low hourly rate, when You can make much more than that with Blue?